The hospitality industry is one of the fastest growing industries worldwide. From tourism and travel, to restaurants and luxury retail- there’s an abundance of career opportunities in a plethora of sectors which is growing day by day. Travel and tourism is predicted to outperform the global economy. Travel and Tourism supported 292 million jobs across the world in 2016. That adds up to an average of 1 in 10 of all jobs worldwide. According to WTTC report 2018, by 2028, travel and tourism will support 23% of all new jobs created. The Indian tourism and hospitality industry has emerged as one of the key drivers of growth among the services sector in India. Tourism in India has significant potential considering the rich cultural and historical heritage, variety in ecology, terrains and places of natural beauty spread across the country. Total contribution by travel and tourism sector to India’s GDP is expected to increase from Rs 15.24 trillion (US$ 234.03 billion) in 2017 to Rs 32.05 trillion (US$ 492.21 billion) in 2028. India was ranked 7th among 184 countries in terms of travel & tourism’s total contribution to GDP in 2017. Tourism is also a potentially large employment generator besides being a significant source of foreign exchange for the country. The travel & tourism sector in India accounted for 8 per cent of the total employment opportunities generated in the country in 2017, providing employment to around 41.6 million people during the same year. The number is expected to rise by 2 per cent annum to 52.3 million jobs by 2028.This has immensely enhanced the requirement of trained hospitality personnel. International hotel chains are increasing their presence in the country, as it will account for around 47 per cent share in the Tourism & Hospitality sector of India by 2020 & 50 per cent by 2022. An education in hospitality is the beginning of a journey into a diverse and exciting opportunities and personal discoveries. Every aspect of our curriculum has tomorrow’s industry in mind. Throughout your academic journey, you’ll learn how to master critical thinking, embrace innovation and expect change. Partnering this with the art and science of hospitality, you’ll have the toolkit you need to help you conquer today’s industry, and anticipate the challenges of tomorrow. The M.Sc. in Hospitality and Tourism Management is a unique, intensive and innovative program that prepares future managers to become effective global hospitality professional with leadership qualities. The two-year program focuses on Business & Management Studies specific to Hospitality Industry. Specialized components such as team project and mentorship, under the guidance of industry specialists, broaden the learning spectrum and prepare the post graduates with required management theories and operational competencies to be readily accepted in the hospitality and service industry. The program is a judicious blend of intensive classroom contact, self-learning, industry mentorship and counseling sessions. Our program offers an unrivalled business education that delivers a balance between theory and practice. With the built-in industry mentorship, the scholars learn current industry trends which offers scope for building case studies and writing dissertation in the selected areas of specialization. The mentor’s relevant industry experience combined with one-to-one interaction immensely contributes to the scholar’s professional growth and development. The mentorship experience also offers valuable networking opportunities. 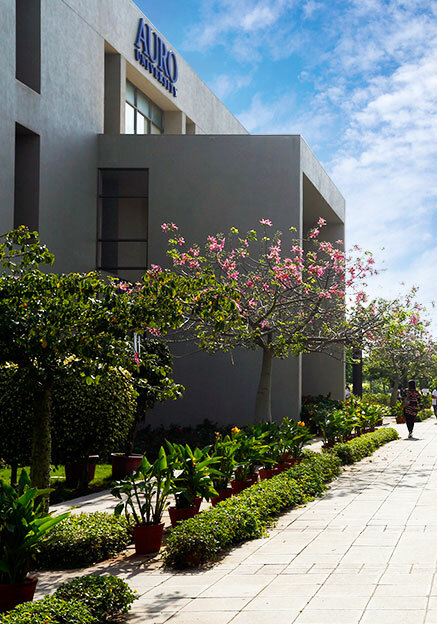 Promoted by AURO Hotels, India and U.S.A., AURO University is a progressive centre for integral learning and leadership. School of Hospitality Management is a premium school focused on creating, through value education, a generation of high achieving leaders for the most happening Hospitality Industry. 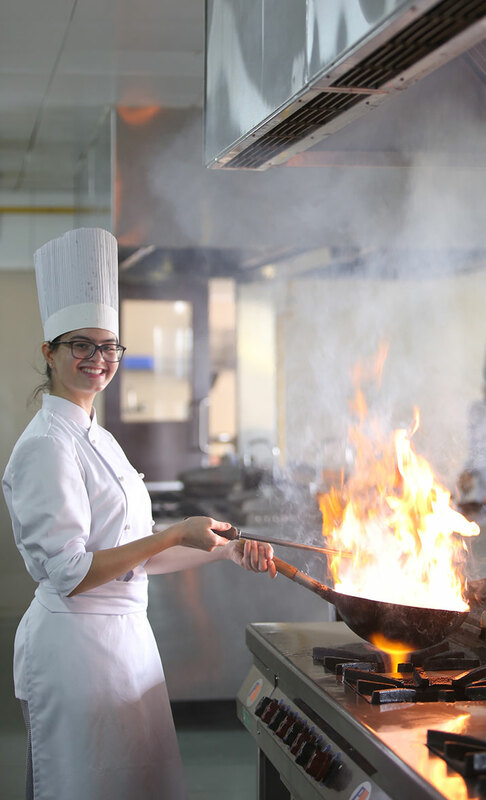 The school continuously endeavors to disseminate knowledge and skill through education and training to scholars who enroll into School of Hospitality while, also raising the bar higher to acquire and generate new knowledge through research. 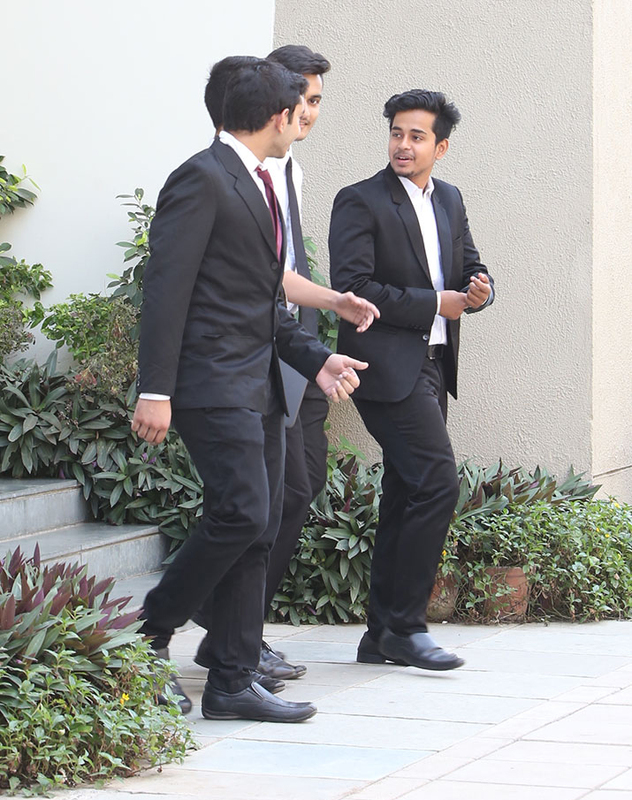 Aspiring leaders in the hospitality sector are keen to take advantage of School that also has the solid backing of AURO Hotels group – a notable presence in the hospitality sector across the globe and with Courtyard Marriott on the University Campus for hands on experience. Furthermore, our partnerships with leading industry employers will provide you with exclusive internships, executive placements and professional support during your studies with us. We at AURO University believe in working towards building the next level of support and ecosystem for the budding entrepreneurs and we aim to encourage ideas, help them take calculated risks, mentor their journey and accelerate their chances of success. Towards this objective, we have created a Special Purpose Vehicle called AURO Innovation and Incubation Cell (AIIC), which aims to work with ideas and visionaries who wish to make an impact and create responsible products for the future.